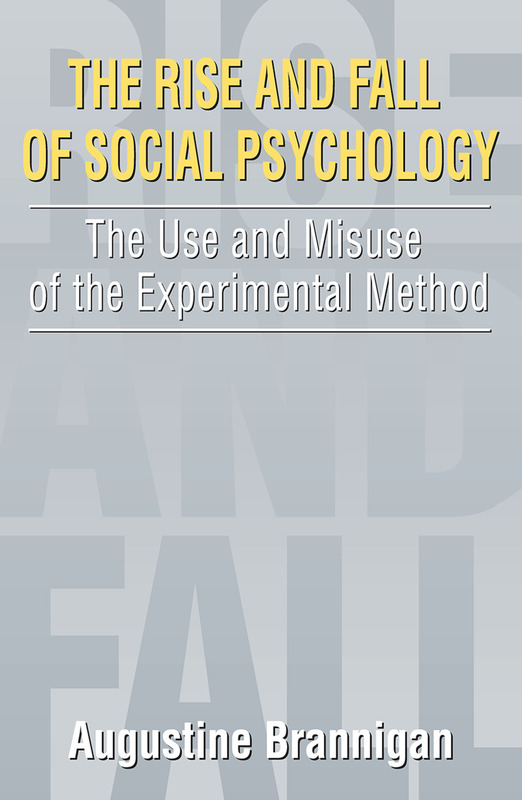 This unflinching effort critically traces the attempt of social psychology over the past half century to forge a scientific understanding of human behavior based on the systematic use of experiments.Having examined the record from the inception of the field to the present, Brannigan suggests that it has failed to live up to its promise: that social psychologists have achieved little consensus about the central problems in the field; that they have failed to amass a body of systematic, non-trivial theoretical insight; and that recent concerns over the ethical treatment of human subjects could arguably bring the discipline to closure. But that is not the disastrous outcome that Brannigan hopes for. Rather, going beyond an apparent iconoclasm, the author explores prospects for a post-experimental discipline. It is a view that admits the role of ethical considerations as part of scientific judgment, but not as a sacrifice of, but an extension of, empirical research that takes seriously how the brain represents information, and how these mechanisms explain social behaviors and channel human choices and appetites.What makes this work special is its function as a primary text in the history as well as the current status of social psychology as a field of behavioral science. The keen insight, touched by the gently critical styles, of such major figures as Philip Zimbardo, Morton Hunt, Leon Festinger, Stanley Milgram, Alex Crey, Samuel Wineburg, Carol Gilligan, David M. Buss--among others--makes this a perfect volume for students entering the field, and no less, a reminder of the past as well as present of social psychology for its serious practitioners.